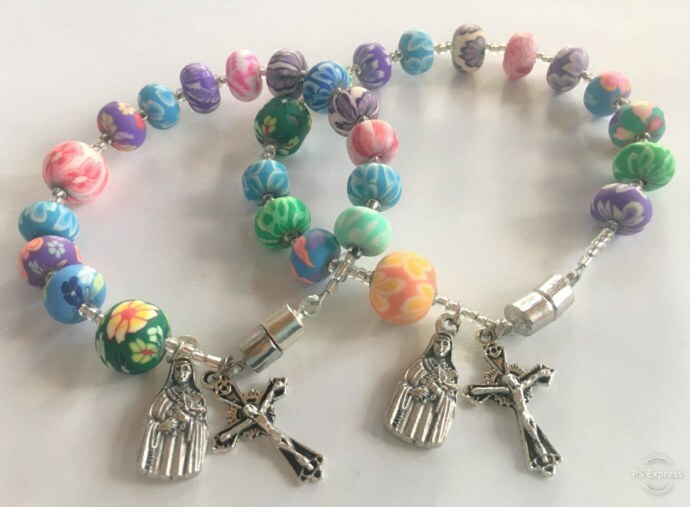 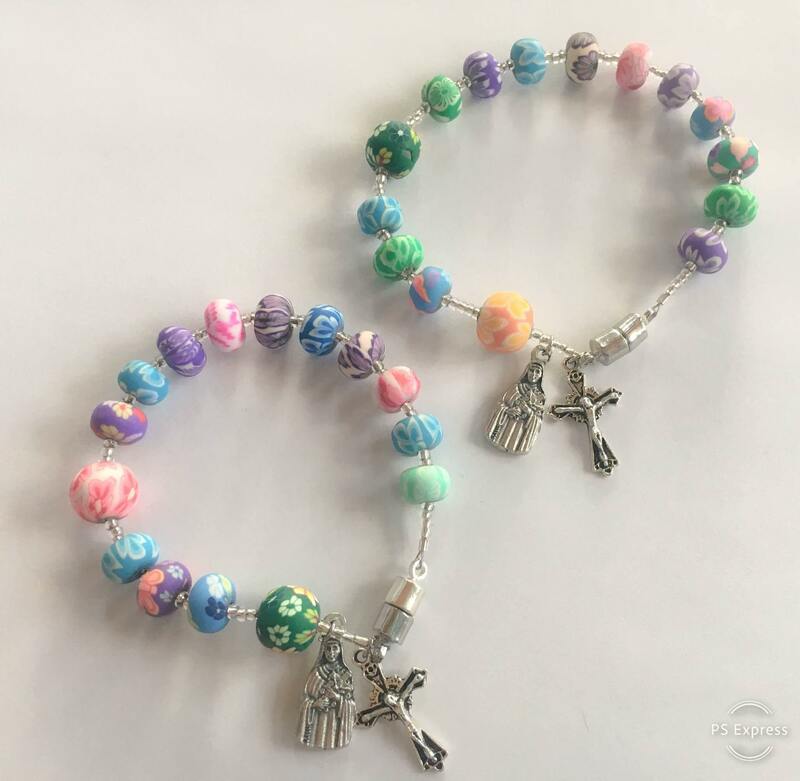 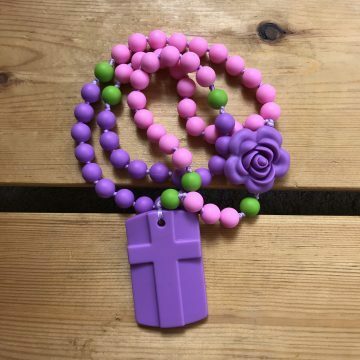 This collection of colorful clay floral beads honors Saint Therese of Lisieux and her nickname as The Little Flower. 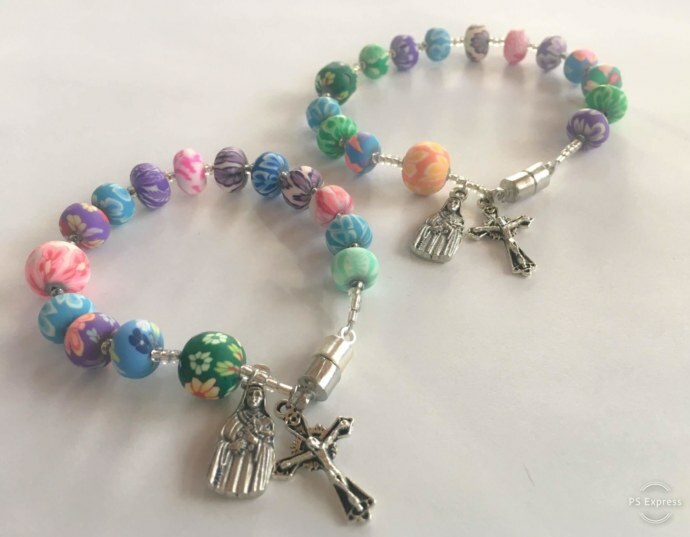 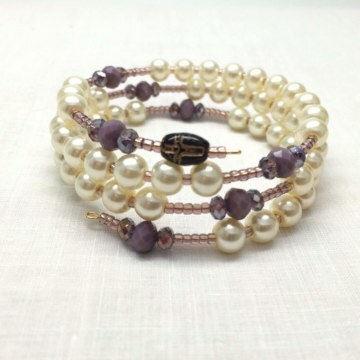 Each bracelet features a dangling charm of St. Therese and a simple crucifix. 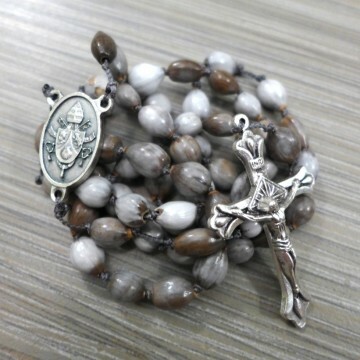 A magnetic clasp makes it easy for anyone to put on their own wrist, and quick to snap off to use in prayer. 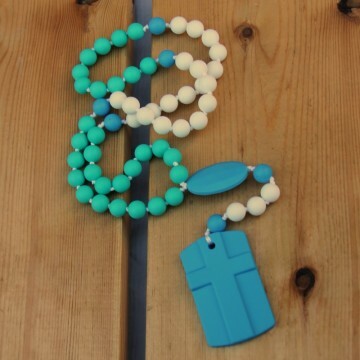 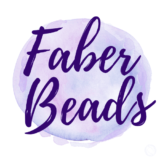 This includes one child-sized bracelet and one adult-sized bracelet.